Ever wonder how people and robots team up on your Amazon order? Dynamic duos work side-by-side, using state-of-the-art technology to help deliver lower prices to customers. 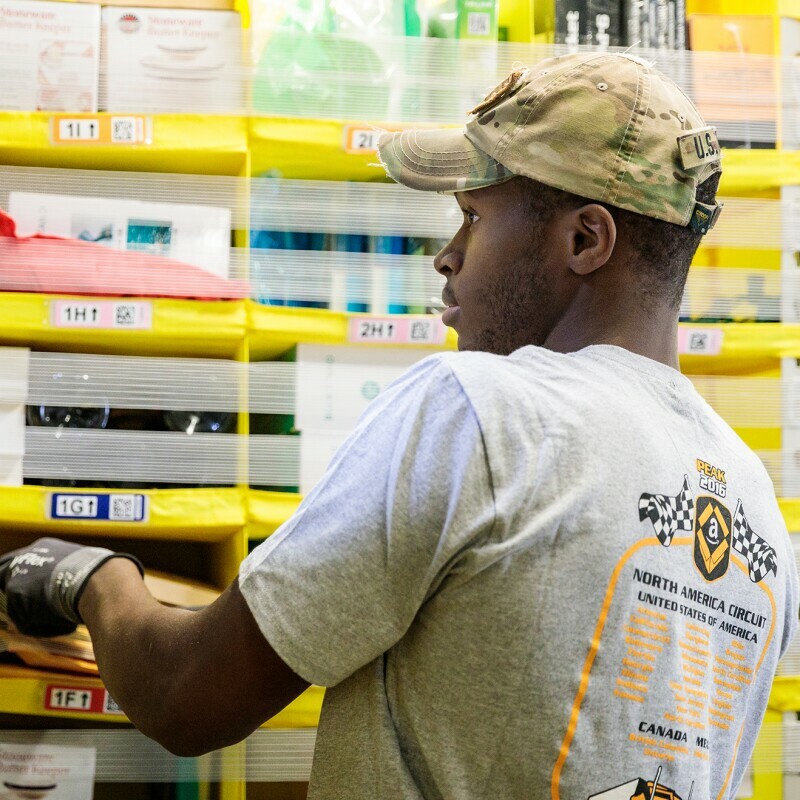 When Gregory Moss walks into work at a California-based fulfillment center and approaches his work station for the day, 15 robots are by his side, delivering bins of items for him to sort, stow, or count. Moss is also one of 25-30 people in his shift who wear a robotics tech vest, allowing him to send a signal to the robots on the floor so he can safely move around the building. The vest uses advanced sciences, like AI and sensors, to draw an access path around Moss, so the robots automatically slow down or update their route to avoid the area where he is working. “Let’s say an item fell out of a storage pod and was on the robotic field. I would activate my access path on my vest and walk out onto the floor to retrieve that item and ultimately, input it back into the system. While I’m on the floor, the robots recognize me and my vest. If they get too close to me, they stop,” he said. This is just one example of how humans and robots work together to get packages to customers. State-of-the-art technology, like the robotic tech vests, help increase efficiency, reduce defects, lower prices, and improve workplaces around the world. Our three principles – lower prices, wider selection, and enhanced customer experience – will not scale up by manual labor only. Amazon currently enlists the help of more than 100,000 robots, which operate using the AWS cloud, to fulfill customer orders. These robots complement human capability to “help make us smarter,” according to Tye Brady, Amazon robotics chief technologist. “Our three principles – lower prices, wider selection, and enhanced customer experience – will not scale up by manual labor only. They keep accelerating and growing only if we augment and supplement human intelligence with machine intelligence,” he said. Brady believes we can accomplish this with collaborative robots “who work in concert with our associates.” Sometimes that means extending human activities with robotics. Other times, that means delegating separate tasks to humans and robots. “There are tasks that humans perform best and there are tasks that can be automated,” Brady said. For example, in the robotic fulfillment centers, palletizing robotic arms stack totes of product, so associates don’t have to lift 30 pounds over and over again. Investing in these technologies makes associates’ jobs more efficient and allows them to shift their focus to other tasks. At Amazon, inventors are patenting their ideas and seeing their inventions come to life. Brady says feedback from associates has been positive and they “like the convenience that robots offer.” Associates have also become more invested in improving the overall robotics experience. Drive unit robots move pods of bins throughout the fulfillment center and based on feedback from associates, Amazon made the pods yellow. 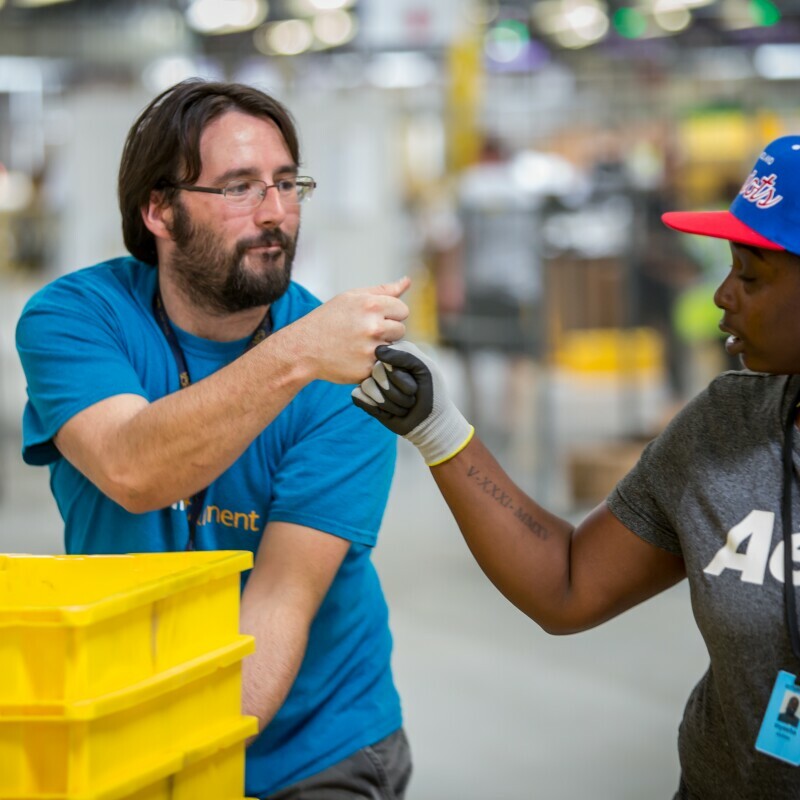 The associates asked for yellow to provide better visibility into each of the bins that are within the pod, while brightening up the fulfillment center environment. “That’s an example of associate feedback that has gone all the way to the engineers to make a better robotics system,” he added. As Amazon continues to deploy more automation, part of Jackie Underberg’s job as director of worldwide engineering research and development is to measure the impact it will have on the workforce. These jobs also allow people to move into higher-skilled roles and increase their earning potential, she said. It’s up to Underberg and her team to help associates develop these skills and partner with the community to bring in new talent. Underberg is most proud of these efforts designed to open up new career paths and opportunities for the workforce. 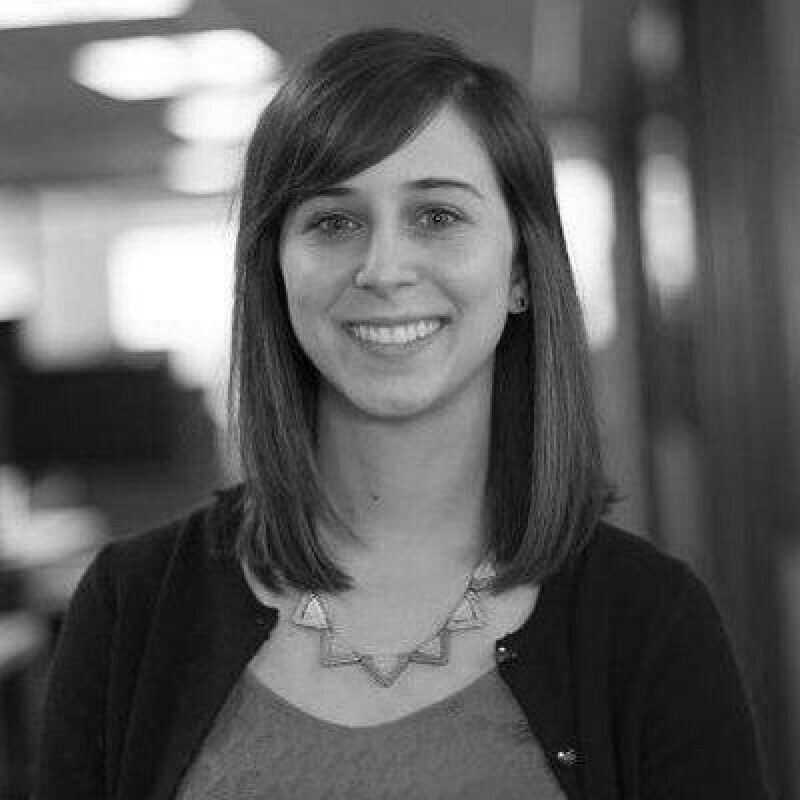 Emily Esposito Fulkerson is a content creator at Amazon. When she’s not writing, she’s exploring the PNW, shopping for indoor plants, or eating chocolate. The latest group of Amazon Career Choice graduates are being honored at their schools' graduation ceremonies. Today, Amazon had the pleasure of hosting Canada’s Prime Minister, the Right Honourable Justin Trudeau, for the official launch of Amazon's first robotics fulfillment center (FC) in Canada. Giving employees the skills and training that enable them to leave Amazon.